We Provide Industry Renowned Equipment For Your Manufacturing Needs. Aqua Vita provides a full range of water and flavored water bottling equipment and packaging. Our custom bottling machine systems are scalable for small and large-sized bottling operations. We provide you with turn-key bottling systems to produce personalized water bottles, beginning with custom molds for blow molders and finishing with biodegradable earth-caps and custom packaging for rotary and in-line water bottling equipment. All equipment is configured and designed according to your specifications and needs. Whether your bottling plant produces spring or artesian water, juice, soft drinks, beer or wine, we can provide bottling systems that fill on a mass scale. 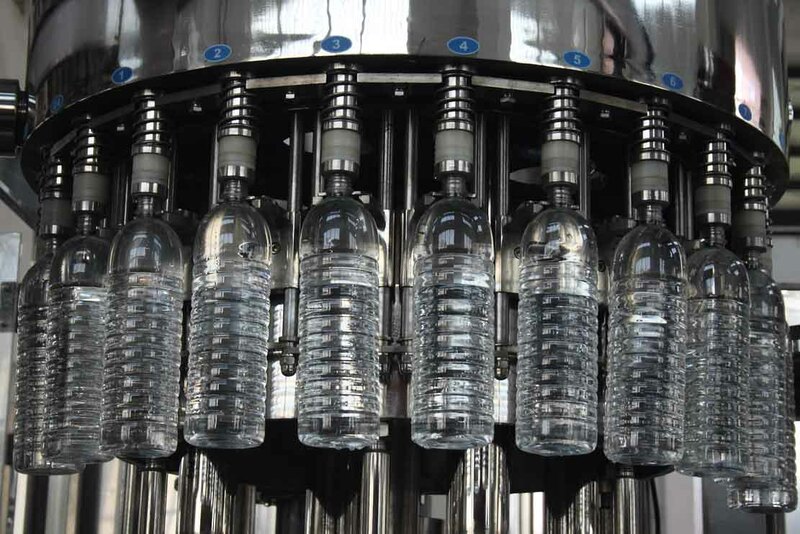 From rinsing to filling and capping to labeling and packaging, Aqua Vita’s custom-integrated, high speed and energy-saving rotary machinery has bottling speeds of up to 50,000 bottles per hour. Our customers range from long-time bottling plant owners to start-ups. Whether you’d enjoy a “meeting of the minds” with experienced colleagues or priceless advice as you get started, you can depend on Aqua Vita as your go-to source of bottling equipment solutions. Our experienced team members partner with you to design your bottling plant’s infrastructure (consulting on-location if needed), or re-configure your floor plan for an expansion. And if you need to secure a loan to purchase your bottling equipment, we’ll help you create a budget for your banker to approve. Our customers enjoy impeccable service after the sale from knowledgeable and reliable customer service techs who assist them with bottling machinery installation and maintenance. The water bottling industry is booming. Invest in the state-of-the-art blow molding equipment, bottle filling systems and custom packaging that are helping bottling plants world-wide compete successfully, while dramatically increasing profitability.